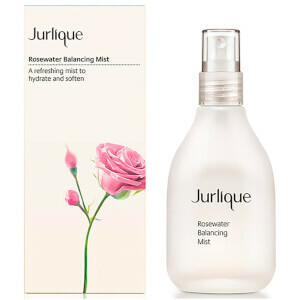 A balancing mist that helps to restore and hydrate while leaving the skin balanced and refreshed. Provides long-lasting moisturization and hydration. 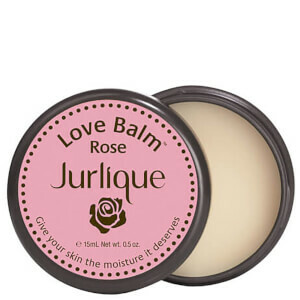 Helps to soften the skin with Rose Extract. Recommended for combination skin types. Close eyes and gently mist the face after cleansing or throughout the day. Follow with Biodynamic Beauty Serum orHerbal Recovery Gel and a Jurlique moisturizer appropriate for your skin type. Aqua (Water); Alcohol; Althaea officinalis (Marshmallow) Root Extract; Rosa gallica (Rose) Flower Extract; PEG-7 Glyceryl Cocoate; Fragrance (Parfum)*; Sodium Hydroxymethylglycinate; Lactic Acid; Polysorbate-20; Citrus grandis (Grapefruit) Seed Extract; Aloe barbadensis Leaf Extract; Geraniol*; Linalool*; Citronellol*; Eugenol*; Benzyl Benzoate*. * From Natural Essential Oil (Rose - Rosa centifolia & Rosa damascena). This is hands down the Best Rose Mist EVA! Most Rose Mists have a high percentage of water synthetic ingredients as fillers and do not contain anything resembling Roses. I carry this mist everywhere I go. It is the perfect travel companion, toner, and amazing for setting your makeup. Close your eyes and imagine you are in a bed of roses and Mist away! Great product. Provides moisture and is calming. The scent is nicely balanced and not overpowering. I would recommend. I researched rosewater products and chose this one for its ingredient base and ease of use. For sensitive skin it is an effective finish to cleansing and moisturizing. Especially during the winter months in the Northeast USA, where I live, when facial skin gets irritated from harsh weather winter fabrics, and changes in temperature, rose is a natural calming agent.It is also good after sun exposure. Also, I use it after facial waxing and sometimes spray it on my husband's face after he has shaved and moisturized, at the first sign of redness. The natural fragrance is heavenly - very light, genuine rose and smells like angels showered my face with rose essence. I chose the spray bottle to attain the fine mist. Although I have never tried this brand before, I took a chance and am very pleased with the overall quality. I have used rose syrup in the past for facial breakouts and rashes, but this product is sufficient for everyday use. Works well before bedtime, and on a cold, windy day I use it as a finish to further protect my skin from winter conditions. This is a very beautiful rose scent. I use this as a facial toner before applying my makeup, as a facial mist after the bath or shower, and as a mood lifter. It reminds me of being in a cottage rose garden. I purchased 3 extra bottles for my family for Mother's Day! It can make my skin cool and preserve moisture.I like it! I like this becasue it is gentle and smells really good.